Family Finance Favs: When Your Kid Poses An Awkward Money Question, Ask "Why Do You Ask?" 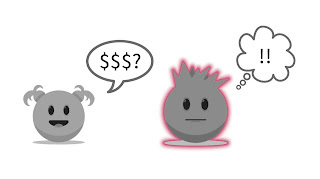 When Your Kid Poses An Awkward Money Question, Ask "Why Do You Ask?" Try a little bit of stalling and a lot of engagement. Be sure to use a friendly tone, not an indignant one. You want to encourage communication, not scare it off. Now you’ll have a few moments to gather your thoughts and think through an age-appropriate response. More importantly, you’ll gain some insight into the question behind the question. Is your child anxious about the family’s financial situation? Being teased by peers? Feeling inadequate? Jealous? Randomly curious? Those answers may lead you to a very different conversation. And a more thoughtful, helpful one. As Ron Lieber says: “Every conversation about money is also about values.” So embrace the awkward money conversation, but find out where it’s coming from first. To learn more about having thoughtful money conversations with your kids, read Ron’s excellent book, The Opposite of Spoiled.